As you probably know, we’re huge fans of Hitoshi Sakimoto. His long career in the videogame industry has resulted in many excellent soundtracks, and while his recent efforts have focused on more Western-style compositions and collaborations with the Basiscape team, his work at Squaresoft where he was often paired with Masaharu Iwata have long been fan favorites. That brings us to Tactics Ogre. I remember when this game was released in North America. 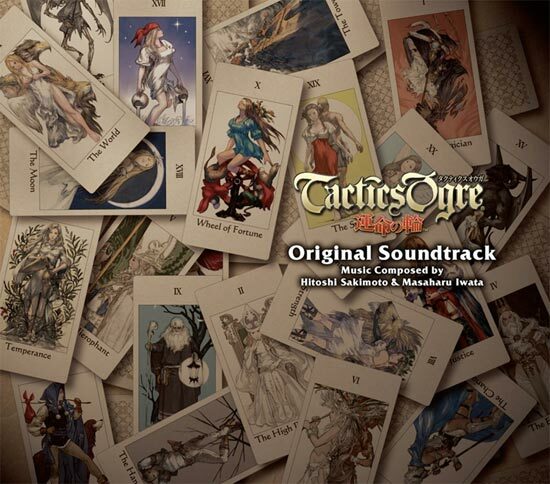 As the game was released around the same time as Final Fantasy Tactics on the original PlayStation, I found Tactics Ogre to be a bit dated, and didn’t dig in too deep, but from the brief time I played it, I did enjoy the music. This time, Sakimoto, Iwata, and the entire Basiscape team join up to breathe new life into this classic soundtrack with the PSP remake of Tactics Ogre: Let us Cling Together, and if you caught our unpacking video last week, you already know it contains some surprises. OSVchannel: Tactics Ogre Let Us Cling Together Looks Quite Lovely! November 2, 2010 | Jayson Napolitano | 3 Comments Share this OSVchannel: Tactics Ogre Let Us Cling Together Looks Quite Lovely! We’re back with another OSVchannel update. This time, we’re taking a look at the soundtrack to the PSP remake of Tactics Ogre: Let Us Cling Together. The four disc soundtrack is being released by Square Enix on November 10, 2010, so we have quite an advanced preview of what to expect from the album next week. As I mention in the video, I wasn’t planning on doing a feature on this until I actually opened it. I think you’ll be surprised by what’s exactly inside. I’m very impressed with the packaging, and the music is some classic Sakimoto/Iwata material as well. Also, for those of you out there who want to update VGMdb with the arranger/composer info, I’ve included a scan of the back cover just for you. I’ve been personally looking forward to this one for a long time. Muramasa was released last year, and it was starting to look as though it would suffer the same fate as Opoona without an official soundtrack release. However, December 2009 marked the formation of Basiscape Records, an in-house record label that made Basiscape soundtrack releases all but assured. 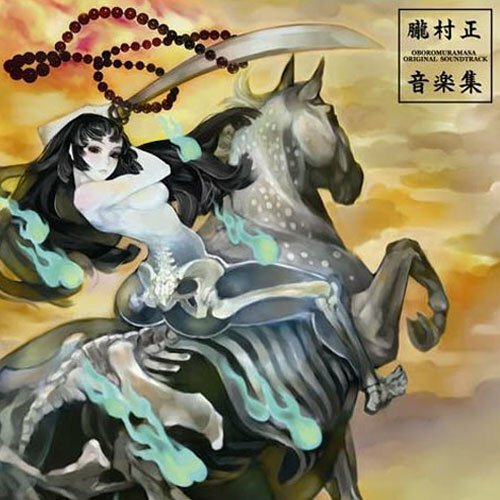 We already looked at their first release, Kumatanchi, but I know a lot of people want to know more about the 3-disc soundtrack for Muramasa. It’s definitely an interesting score, relying mainly on traditional Japanese instruments such as the shamisen and the shakuhachi, but the team at Basiscape has done a lot more than just rehash traditional Japanese music, and have injected their own unique styles and embellishments into the mix. Interestingly, to go along with the split stories in the game (there are two playable characters with different stories), many of the songs feature both an “A” and “B” version, providing a variation on each key theme, with the “A” version usually being more abstract and the “B” version being more rockin’. 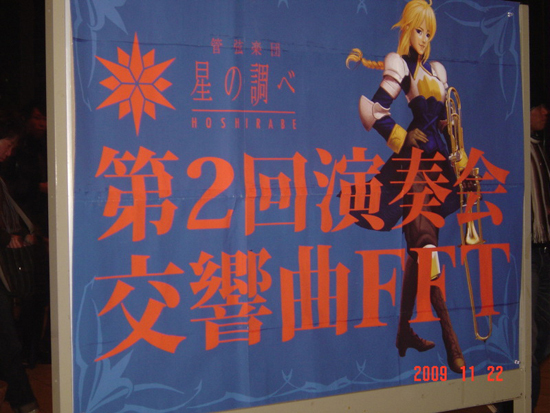 This was a free concert devoted to Final Fantasy Tactics music featuring a whopping 61 of the 71 tracks of the FFT soundtrack. First of all, to answer the question on everyone’s mind, yes, permission from Square Enix had been obtained in order to perform these works. As you’re all well aware, concerts like Video Games Live, Distant Worlds, and PLAY! 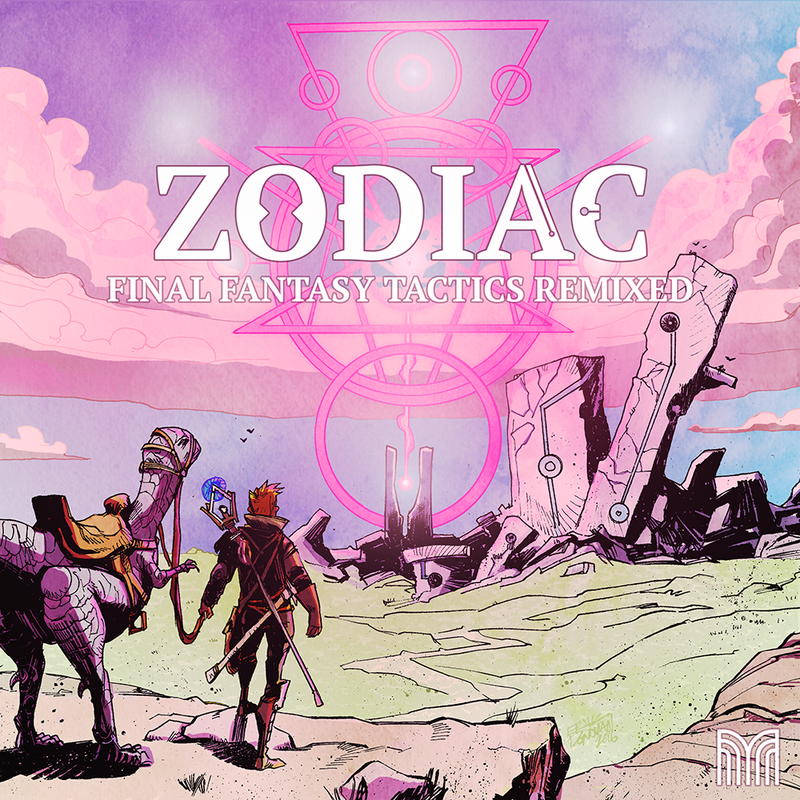 A Videogame Symphony often feature Nobuo Uematsu’s scores from the core Final Fantasy series, which are of course the most popular titles in the series, but this concert being entirely dedicated to a spin-off not composed by Uematsu (Hitoshi Sakimoto and Masaharu Iwata scored FFT) seemed impossible. But it happened! When the news of this FFT-only orchestral concert arose, the excitement spread like wildfire everywhere. There was the usual hope and excitement, but also worry and dread about whether or not they’d be able to pull it off. This was on my mind, and likely the minds of others as I headed to the concert from Tachikawa Station. 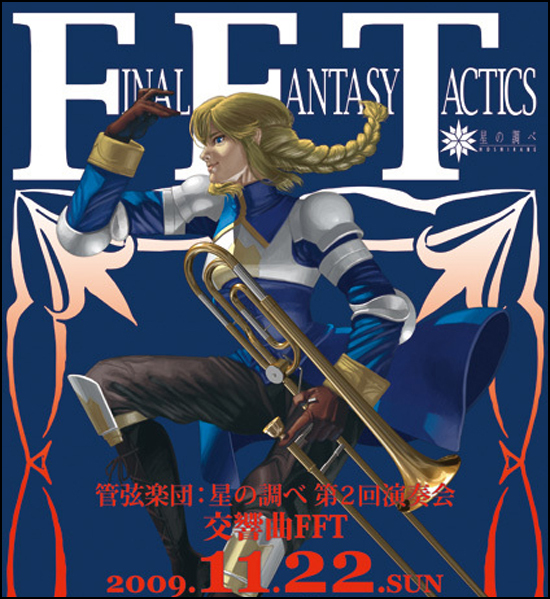 That’s right, not only will there be a live concert featuring the music from Final Fantasy Tactics on November 22, 2009 in Japan, but arrangements of 61 songs will be performed in medley form, just ten songs short of the entire soundtrack. It seems that small productions like this are popping up all over Japan after that awesome Final Fantasy VI concert we reported on earlier this year. Apparently this group of performers put the word out over a year ago, calling for players, conductors, and production staff to volunteer their time with the intent of tailoring their arrangements to whatever ensemble they could get together. But there are saxophones confirmed, which will be an odd accompaniment to the other orchestral elements. Regardless of the instruments they’re able to acquire, and despite the terrible artwork on the above flyer, this should be an amazing show that I’m very sad that I won’t get to see. What are your thoughts regarding these smaller orchestral productions that we’ve been seeing lately? Is a Final Fantasy Tactics concert the best idea ever?